Every life decision I have made has paved the way to bring me to where I am in my career today as a life coach. Having worked in a variety of different fields such as business, brewing coffee, constructing homes, office management, and diamond jewelry sales has given me the opportunity to gain knowledge and understanding from each different trade. My broad view of how interconnected our inner worlds are with the environment we interact with gives me a working framework of how I can best utilize my skills and thought processes to contribute meaningfully to people’s lives. I earned my second Master's degree in Psychology with an emphasis in Marriage and Family Therapy. 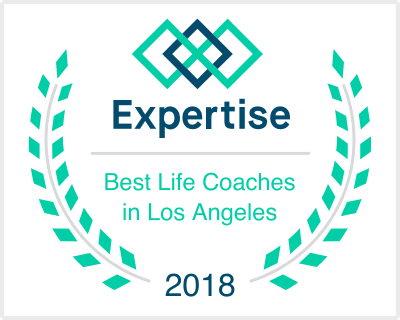 Having earned this top-notch, graduate level education coupled with thousands of hours of experience working with clients and hundreds of hours of training related to Life Coaching, I am confident that with your commitment, you can create a life even better than you imagine. I work extensively with clients dealing with depression, anxiety, love concerns, ADHD, grief and loss, stress or anger management, career planning issues, as well as any other life concerns from collaborative and strength-based perspectives. My ongoing studies in neuroscience, anthropology, sociology, and behavioral biology guide me in formulating new ideas in understanding how changes in your mind equal lasting changes in your brain. By utilizing research-based information in my work with clients, I custom design every treatment outlook to cater to the needs of each person who seeks my support. I have been fortunate enough to engage with some of the most brilliant minds of our time. Much of my spare time is spent continuously seeking invigorating interactions at conferences, meetings with colleagues, and in conversation with people from all walks of life. From these experiences, I find opportunities where I can be a helpful part of any burgeoning process. There is no end to what one can learn in a lifetime. I hope to continue to be successful at imparting the knowledge I gain from my ongoing studies and insights to my clients so as to create lasting changes that will endure well into the future of society as a whole. By helping my clients increase their level of consciousness through our work together no matter the starting point, I hope to leave a lasting impression on each individual I work with. I have found that through my work over the years, not only are the lives of my clients noticeably improved, but so are the lives of those around them...at home, at work, at school, and everywhere in between. I believe that when any aspect in a system changes, the system intrinsically changes. Hence, what I have seen from my work thus far is that the unique programs which my clients and I create to achieve individual goals allows them the space to incorporate new information that not only betters their life, but also betters the lives of the many people they interact with over their lifetime. If you're ready to make changes and would like some guidance in creating the life you know you can have, get in touch with me and let's get started. I am trained and certified in the following areas: Aging and Long-Term Care, Child Abuse, Partner and Spousal Abuse, Anger Management, Anxiety Disorder Treatment, Social Skills and Violence Prevention for Children, and Working With Parents and The Family System. In the past few years, I've donated 12 inches of my hair twice to Locks of Love, a public non-profit organization that provides hairpieces to financially disadvantaged children in the United States and Canada under age 21 suffering from long-term hair loss from any medical diagnosis. I have been practicing yoga for about 20 years. I speak both Farsi and Armenian fluently.